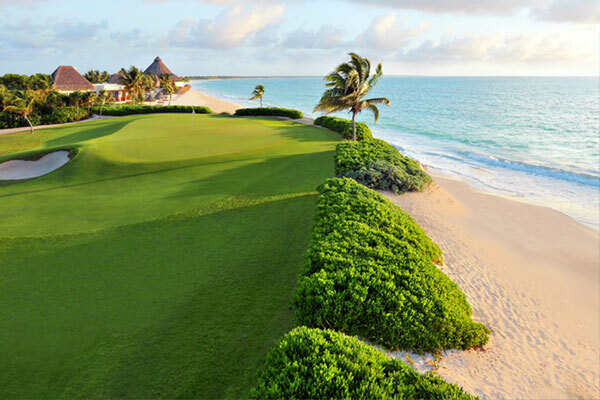 The players can enjoy a round of 18 holes with the following combinations: Dunes to Jungle, Jungle Lagos and Lagos to Dunas. Round transportation for minimum 2 players. 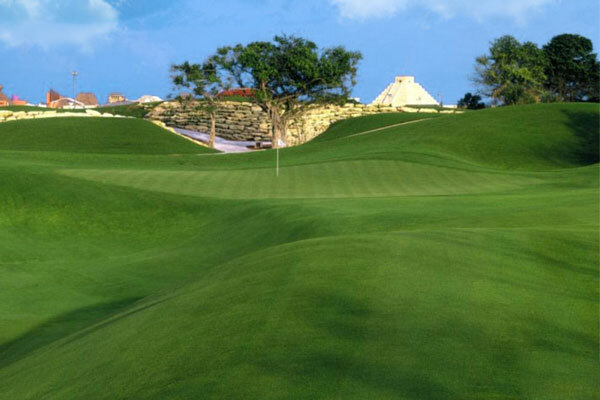 Moon Spa & Golf Club, is 27-hole golf course designed by Jack Nicklaus and divided in three courses of 9 holes (par 36 in each course); Dunes, Jungle and Lakes. Therefore you can combine dunes with jungle, jungle with lakes and lakes with dunes. This makes this golf course fun and with variety. The golf course has a great club house with a well equipped pros hop, a bar, an Italian restaurant, gorgeous pool and a very nice spa that offers many services, including mud mask or clay face mask. The practice area includes a golf range with chipping and putting greens. 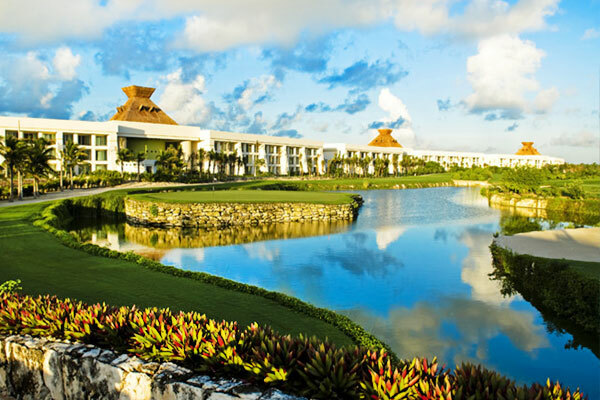 The location of Moon Palace & Golf Spa is only 10 minutes away from the airport of Cancun and 15 minutes from Cancun’s Hotel Zone, which makes it a very accessible course.